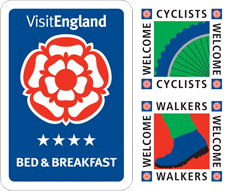 Sandays Bed and Breakfast is a Visit England four star accredited B&B in Dawlish Warren. This charming bed and breakfast enjoys an ideal location on the Exe Estuary Trail, just a 2-3 minute walk to popular beaches, the internationally renowned Dawlish Warren Nature Reserve, a links golf course and all amenities. 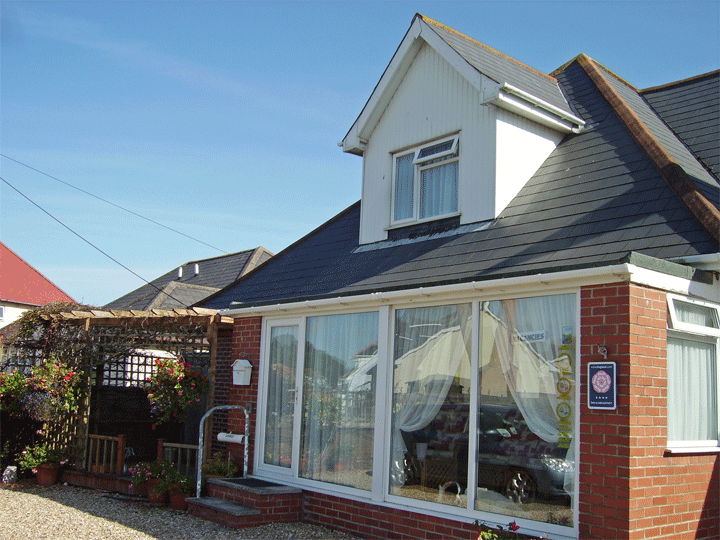 Sandays Bed and Breakfast (Dawlish Warren) also boasts excellent public transport links, making it a great starting point for exploring South Devon. It’s just a 1 minute level walk from Sandays B&B to the Dawlish Warren Railway Station and less than a half an hour drive or train journey to the beautiful city of Exeter. 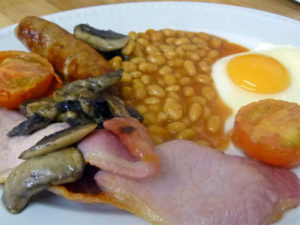 Sandays Bed and Breakfast (Dawlish Warren) has 3 lovely en-suite bedrooms for double or single occupancy. Guests of our bed and breakfast also enjoy free parking on the premises, unlimited use of the guest lounge and dining areas and free wifi. Open from February to December, this bed and breakfast is a wonderful place to visit in all seasons. Read more about our guest facilities. We offer a varied breakfast to suit all tastes – from cereal, porridge or a full English to smoked haddock, scrambled eggs with smoked salmon or a Danish pastry with a fruit smoothie. We are also happy to cater for allergies. 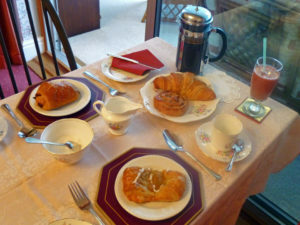 Read more about our breakfast. 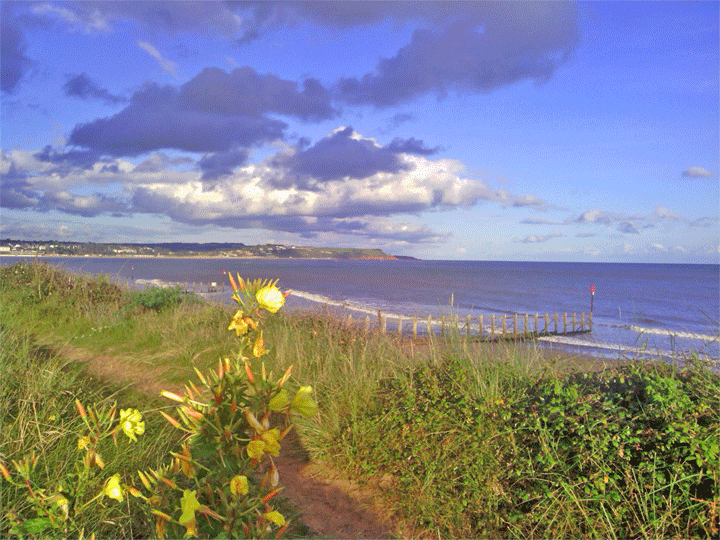 Dawlish Warren is a beautiful location in South Devon that is famous for its distinctive sand dunes and internationally recognised nature reserve. Sandays Bed and Breakfast (Dawlish Warren) provides easy access to popular beaches, breathtaking coastal walks, amusements and Dawlish Warren Golf Club (links golf course). 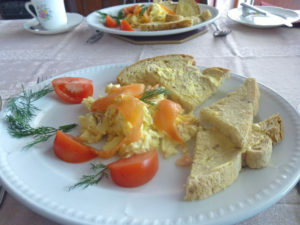 Sandays Bed and Breakfast is also the perfect starting point for exploring the many attractions on offer in South Devon, such as Dartmoor, the seaside town of Dawlish or the city of Exeter. 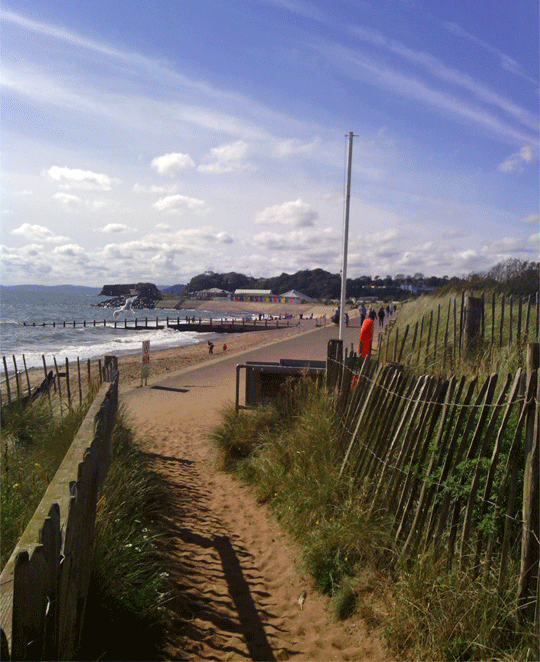 Read more about things to do on a Dawlish Warren holiday.